Artist’s drawing of a proposed 119-room hotel on Union Road near Golden Hill Road. 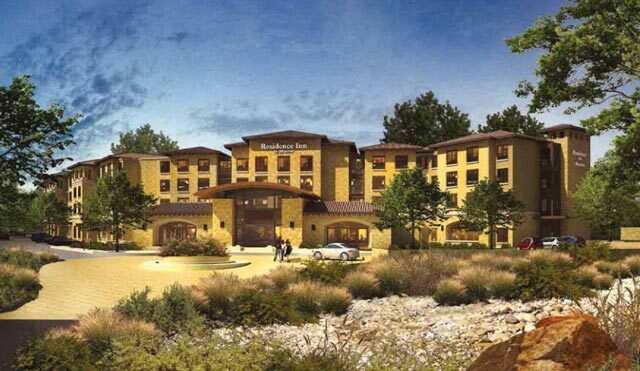 The Paso Robles Planning Commission met Tuesday night and approved plans for a new 4-story, 119-room hotel near Union and Golden Hill roads. The Residence Inn by Marriott hotel is proposed for the property currently home to Paso Robles Pet Boarding at 2940 Union Road. The plans were first reviewed at the April 12 planning commission meeting. At that meeting, which I missed while on vacation, the commissioners raised a number of concerns about traffic impacts, project density and height. The commissioners continued the agenda item for two weeks and requested the applicant conduct a weekend traffic study of the area. I had the opportunity to listen to the meeting of the 12th and get up-to-speed on the issues before Tuesday’s meeting. The traffic study showed what most residents know, the area is impacted with traffic and needs to be addressed. When games are played at Barney Schwartz Park on the weekends, and during peak commute times on weekdays, the nearby intersections are crowded. The traffic study showed, however, that 95-percent of the time, wait times are not more than 1-minute, and queues do not exceed five vehicles. The traffic study also showed that the new hotel will add about one car per minute, during peak times, to the area roads. This did not seem to raise to the level of a “significant impact,” in my opinion. I also considered that the project will be paying to improve Union Road and pay considerable development impact fees that can be used to help solve traffic problems. The density, or occupancy, of the hotel is limited by the density limitations in the Airport Land Use Plan. The specific density criteria for a hotel are: The maximum number of persons shall not exceed an average of 40 per gross acre, and the maximum number of persons shall not exceed 120 per single acre. The reason for the restrictions is to limit the number of people near the airport in the event of a plane crash. The maximum allowable density is calculated by multiplying the total site acreage by 40 persons per gross acre. The maximum number of persons per single acre is calculated by dividing the maximum average persons per the guest area where people would cluster. The hotel fits within three separate one-acre grids. The maximum occupancy of the hotel doesn’t exceed 120 persons per acre within any single acre grid. The applicant will be improving Union Road near the project to include a median and bike line. This will reduce the size of the roadway to 10-feet per lane, plus a 6-foot bike lane. This allows for enough room to meet California’s new law that requires drivers to give three-feet of space before passing a bicycle. Following the staff presentation, many of the commissioners remained skeptical of the traffic study and density. The traffic study submitted to the commission included erroneous tables from a previous study in San Luis Obispo. Regarding density, the applicant and city staff presented new land survey information, without documentation, that slightly increased the size of the lot, making the density numbers more appealing. After much discussion, the commission voted 4-2 to recommened the project to the city council. The motion included granting a conditional use permit, oak tree removal, and a height exception for the building. Commissioners John Donaldson, Sherre Davis, Doug Barth and I voted for the project. Commissioners Shannon Agredano and Bob Rollins opposed it. Commissioner Tom Burgett was absent. Every time a new project comes before the planning commission, concerned residents ask “Where will we get the water?” or “Why do I have to cut my landscaping water to two days a week and let my lawn die, and yet we can build more hotels?” These are fair questions and I think the city needs to do a better job explaining them. It’s true that the state is in a drought. It’s true that some shallow wells outside of the city are running dry. It’s also true that the City of Paso Robles has a diversified water supply that is already capable of accommodating almost 50-percent more growth in the city. The city has planned for expansion over the past 20 years and is ready for more homes and businesses. The reason we have to cut back on landscaping water is because the state has mandated reductions, regardless of a city’s water supplies. 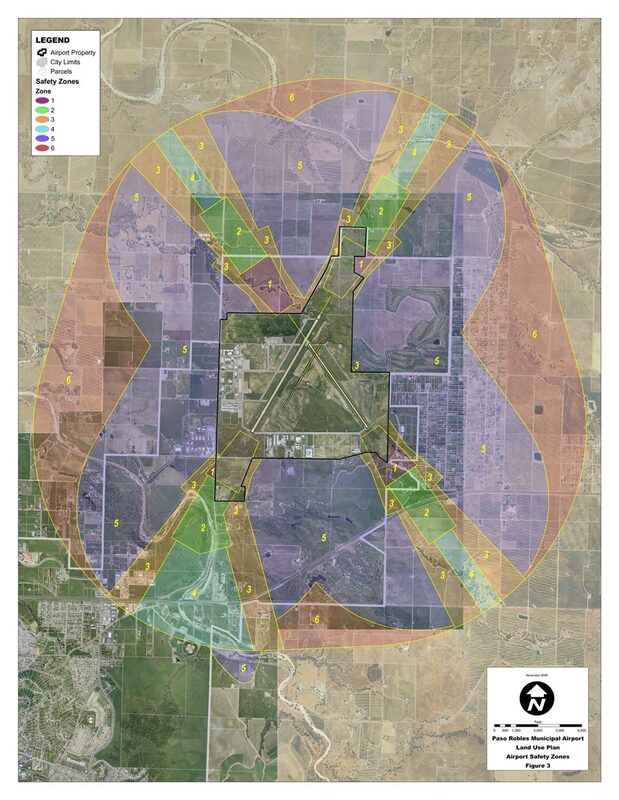 More details on the Paso Robles Airport Land Use Plan here: http://www.prcity.com/government/departments/publicworks/airport/land-use-plan.asp.